Leeds city centre has the best variety of pubs and bars of anywhere either of us have lived and we're on a mission to review them all. Our definition of a drinking establishment is pretty loose. Karaoke bars are in, casinos are out. Hotels and restaurants are in only if they make an effort to attract the local drinking population. Feel free to add your own reviews of these places in the comments. This site should allow you to give them a star rating out of 5 and the average visitor rating will be shown on each page alongside our review. These reviews will be biased toward our own personal tastes. Our number one criterion is beer selection. We like a wide selection of real ales and rotating guest ales are always a plus. We also love Belgian imports, American microbrews and all kinds of unusual and international beers. As for atmosphere: spots that are quiet enough to hold a good conversation without shouting are good, and rooms with giant TVs wall-to-wall, not so. This dataset lists all pubs visited, rated and reviewed by Leeds Beer Quest founders, Rich Daley and Emily Axel. The data includes establishment name, location and their personal rating. Don't agree with them? 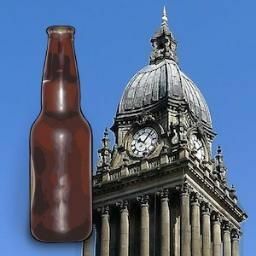 Join the conversation at http://leedsbeer.info.